FACT CHECK: Did DNA Testing Companies Admit to Altering Tests to 'Screw with Racists'? Did DNA Testing Companies Admit to Altering Tests to ‘Screw with Racists’? 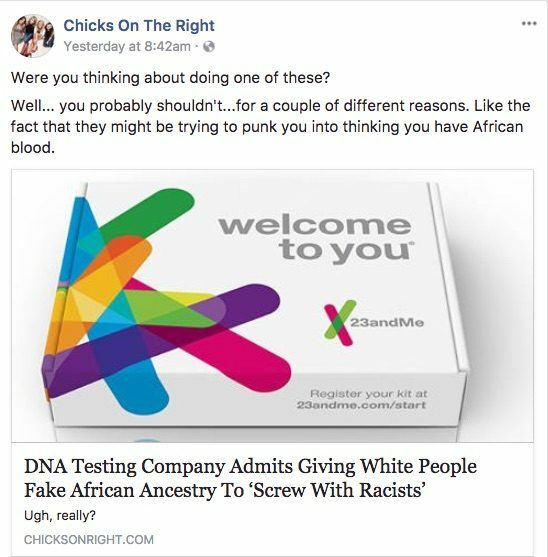 A number of hyperpartisan web sites claimed that DNA testing companies deliberately fabricated African ancestry to "screw with" racist customers. DNA testing companies admitted to tampering with results in order to agitate racist customers. An anonymous purported employee of an unnamed DNA testing company claimed that on two occasions, less than one percent African ancestry was added to testing results, typically when their findings totaled under 100 percent. DNA testing companies made no such admission; the claim was sourced from one anonymous worker and published on a humor site; even the worker indicated purported meddling was unusual. 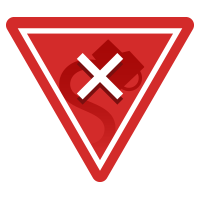 It cited a 4 December 2017 Cracked.com piece, that relied on a single anonymous source for its most egregious claims, and ignored information from the Cracked piece that didn’t line up with its claims. According to Squawker, “DNA testing companies” admitted to the practice—plural—but Cracked.com only spoke with one purported employee. To boot, the claims made by the anonymous source were misrepresented. Morgan admitted to having changed people’s results. “We only did this on rare occasions, when we knew they weren’t using it as means to harm someone.” A lot of this is done under the guise of having the tests line up with what the business already knows of the customer’s expectations. It’s easier to do that than to deal with an endless parade of clients who are intensely pissed off because they aren’t as Dutch as they expected to be. After asserting that it was “really easy” to sabotage one’s own result, the purported worker went on to mention two instances where a white customer indicated a strong disinclination to demonstrate black ancestry, per Cracked. … Remember when white supremacist Craig Cobb found out that he was 14% black? Well as it turns out, there’s a possibility that those numbers could have been fudged with. … This is beyond shady and deceptive, people pay more than they can really afford sometimes, just to find out the truth about their heritage. What about this is acceptable? How does this turn a racist into a “non racist”? It doesn’t. There’s nothing but high levels of dishonesty in these companies. Unfortunately, this doesn’t even fully cover the other things they do behind closed doors. We can state, definitively, that we have not, nor ever would, alter a customer’s DNA results. We believe in the power of science and our customers rely on us to provide as accurate a result as possible. We don’t know where this anonymous individual worked, but we are confident they did not work here, as their claims in no way reflect the scientific rigor and focus on quality that we apply to everything we do at Ancestry. Any allegations that we manipulate results are 100% false. Customer results are based purely on science, which we’ve documented extensively: https://www.23andme.com/ancestry-composition-guide/. Further, the author cites outdated research (a paper that came out the year we launched our first product, nearly 10 years ago) and misrepresents a test done by sets of triplets and quadruplets, whose results when viewed at our highest confidence threshold were nearly identical. Although headlines suggested “DNA testing companies” admitted they routinely tampered with customers’ results and articles hinted that that fudging exceeded 10 percent, the claim was based on a humor web site’s interview with an anonymous purported employee. Both Ancestry.com and 23AndMe firmly denied any such action occurred at their respective testing facilities.